While there are rules and regulations in Ontario that govern the behavior of collection agencies and their agents, we still hear from clients some particularly worrisome stories. On today’s show former collection agency lawyer, Mark Silverthorn exposes some common collection agency dirty tricks. During his 12 years in the industry, Mark witnessed many tactics used by collection agencies to get people to pay up. He’s written a book on the topic called, “A Wolf At The Door: What To Do When Collection Agencies Come Calling,” and now works as a consumer advocate to help people deal with collection agencies and in his words, “level the playing field” for consumers. Mark explains that it is illegal in Ontario for collection agencies to threaten you with a lawsuit if they have not been authorized to do so. Furthermore, Mark points out that if the creditor wants to file a suit, they would give it to a lawyer or a law firm; it would never even get sent to a collection agency in the first place. Mark describes times when collection agents would call payroll and ask if the consumer works for the company and whether the person on the phone would be responsible for processing garnishments. While it is not illegal for them to do so as long as they do not disclose the existence of the debt, they use this tactic to plant a seed that connects the consumer’s name to a possible garnishment. When collectors can’t reach the consumer, they’ll sometimes call that person’s neighbour and explain that the person in question needs to attend to an urgent legal matter, asking whether the neighbour could leave a note on the individual’s front door. This dirty trick is not only legal as long as they do not disclose the name of the collection agency and debt, but all of a sudden neighbours are privy to the fact that the consumer has some sort of legal matter going on. [Some collection agencies will] make up a non-existent or a fictitious payment, or they may even make a $10 payment; and they’ll report it as being a payment made by the consumer and that will restart the six year clock. Mark explains that some collection agents will call up a consumer and provide information about false legal action. Agents can’t just claim that the bailiff is on their way unless you agree to a payment. Collection agencies have also been warned to stop using the “trick” of sending “draft” legal documents with their cover letters and claims to people they were contacting. These draft legal documents made it appear that the collection agency was just about to initiate legal action against the person receiving the letter – the truth was it was a simple computer template designed to scare people into making payments. By law collection agencies are not allowed to use undue, excessive or unreasonable pressure to encourage you to make a payment. Many collection agencies will tell you over the phone that if you don’t make a payment by “Friday” they are going to garnishee your wages. Well, in order to garnishee someone’s wages the agency first must take you to Court. This involves opening a file at the Small Claims Court and you will receive a notice from the Court. Once you receive the Court notice you have 3 weeks to respond. After that it takes another few weeks to obtain a Court Order – none of this can be done quickly, certainly not by Friday. This is probably the thing that gives collections agencies such a bad reputation. Many of the people in the industry think that by yelling at you, by degrading an insulting you, that by making you feel guilty about your inability to pay they can motivate you to give them some sort of payment. Never, ever let these people get under your skin. Never, ever yell back at them or become impolite yourself. If someone is treating you in an unprofessional manner on the phone politely inform them that you don’t have to listen to them and end the phone call. If you have experienced actions from collection agencies that you think breaks Ontario regulations, contact Consumer Protection Ontario to file a complaint. So how should you deal with collection agents? I ask Mark what listeners can do if a collection agent gets them on the phone. His response is that you are under no obligation to speak to anyone on the phone and you have a right to hang up if you feel threatened. He also recommends that you ask the collection agent a series of questions including their name, contact information, and specific information about the debt that they have been hired to collect. Although it’s possible to screen collection agency calls using call display or setting up an unlisted number, I don’t recommend avoiding collection calls unless you have no income or assets. If you ignore a collection agent for too long, you run the risk of a garnishment or the original creditor suing you. Mark explains that to stop collection calls (especially if you’re receiving them at work), you need to send a registered letter to the collection agency demanding that they cease from any further calls and invite them to settle the matter in court. My advice? Know your rights and your options. If collection calls keep coming and you’re struggling to pay off your debt, it’s time to take action. If you have collection agencies calling you and sending you threatening letters then it’s time you spoke to a professional about dealing with your debts. If you owe more than $10,000 in debts, a bankruptcy or consumer proposal might be a solution to stop the collection calls for good. 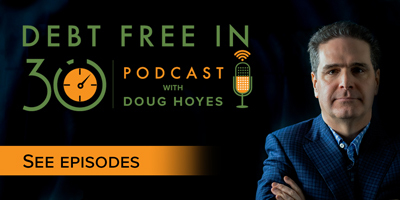 Doug Hoyes: Welcome to Debt Free in 30 where every week we talk to industry experts about debt, money and personal finance. I’m Doug Hoyes. In my real life, when I am not doing this radio show and podcast I help people deal with their debt. They bring me copies of their credit card statements and other bills and I review them and help them make a plan. Most of the bills are easily recognizable, Visa, MasterCard, all the big banks. But I remember back around the years 2005 to 2007 I started to see a new name on those invoices, Mark Silverthorn. For a period of a year or two it seemed as though every third document I reviewed was a collection letter from the Mark Silverthorn Law Firm acting as a collection agent for one creditor or another. I didn’t even know if Mark Silverthorn was a real person. The letters all had a bar code at the top and they were obviously computer generated as there was no way one man could produce the obviously vast quantities of letters that were crossing my desk each day. And then the letters stopped. Mark Silverthorn disappeared. And then sometime around 2010 I got a phone call from the man himself. Mark Silverthorn called me up to tell me he was no longer working as a collection agent, he wanted to switch sides and help debtors deal with what he perceived to be somewhat abusive collection agency practices. I was skeptical. How can you go from being the biggest collective guy in Canada to the biggest opponent of the collection industry? It made no sense. But hey, I’m a reasonable guy, always willing to give someone a chance to explain their side of the story. I spoke with him and I agreed to be interviewed for a book he was writing about what to do when collection agents come calling. I figured if he was going to talk about things like consumer proposals and bankruptcy I should at least give him access to my expertise. That book was published in 2010 and it’s called “The Wolf at the Door” and it had some very interesting insights into the collective industry and ways to deal with debt. But that still begs the question how can someone go from being the biggest collection agent in Canada to an advocate for people with debt? How is that mid-life transformation possible? Well, to find out I have invited the man himself on the program. So, Mark Silverthorn welcome to Debt Free in 30. Thanks for being here today. How are you doing today? Mark Silverthorn: Good morning, Doug. It’s a pleasure being here. Doug Hoyes: Well so, thanks for being here. So, I alluded to your past. So, tell me the story of your life as a collection agency lawyer. I started the show by talking about all these Mark Silverthorn letters I used to see. And at your peak how many letters were you sending out? How many collectors were you working with? Mark Silverthorn: Well Doug, over a 12 year period I worked as a collection lawyer for four of the 10 largest collection agencies operating in Canada, all of whom were based in the GTA. My office sat right next to the collection floor. I just had to open my door and there literally would be hundreds of collectors sitting outside my door. Doug Hoyes: Wow, so it was a huge operation. And so what causes you to give up a lucrative career as a debt collector to become a consumer advocate? And, you know, I felt like I had been run over by a tractor trailer. Is that all that my life meant? And so I asked myself some questions. Is this all there is in my life? I mean is it possible for me to have a purposeful life where my life has meaning? Is there something I could do, anything where my existence would make the world a better place? And I thought what better way to take all this knowledge that I gained as collection industry insider over 12 years, and share it with consumers to help level the playing field. You know, what I really think is important is creditors have a legitimate right to collect debts and they have all kinds of resources. They’ve got lawyers, they’ve got millions of dollars in technology. The poor consumer has very little resources and it’s just not a level playing field. And that’s really what I’ve tried to do. Doug Hoyes: Well, I want to get into some of the dirty tricks that collection agencies might use. But before I do that I want to talk about what you’re doing today. And before we do that I want to finish off telling your life history here. So, after you wrote your book in 2010, you then got into the debt settlement business. So, tell me a bit about that. 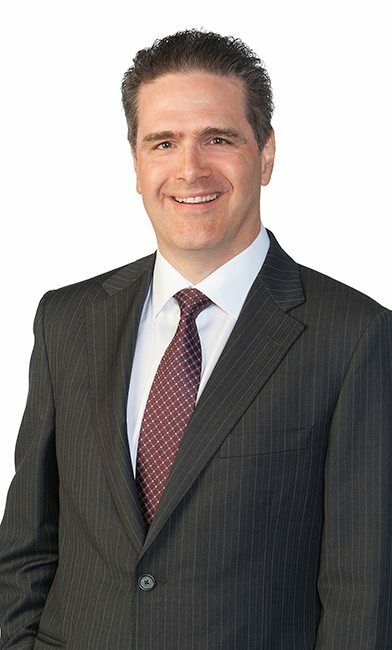 Mark Silverthorn: Well, I mean after I wrote my book I had the opportunity to represent a significant number of consumers and I personally negotiated hundreds of lump sum settlements where my client would make a onetime lump sum payment to a creditor as settlement in full. And often we were able to negotiate favourable settlements, some as low as between 10 and 20 cents on the dollar. Doug Hoyes: And now you’re not doing that anymore though. Doug Hoyes: So, what are you doing now? Mark Silverthorn: Today I’m the founder of a consulting firm called Comprehensive Debt Solutions Inc. And the mission of that firm is to, number one is to improve the financial literacy of Canadians, particularly as it relates to debt. Number two to be a consumer advocate and to shine a spotlight on the collection industry and on what I call the debt help industry. On those areas where I feel that vulnerable Canadians are being taken advantage of. And finally, what I do as well is that I will provide personalize telephone consultations for individuals at a modest cost. Doug Hoyes: So, what we’ll do in the show notes, which you can find at hoyes.com, I’ll put a link to your website, your blogs and some other resources so people can track you down. So, okay let’s talk about, you know, let’s get some of the knowledge from your past life as a debt collection agency insider. Give me five dirty tricks that bill collectors use. Things that they probably shouldn’t be doing, but they probably are, so give me your top five dirty tricks used by unprofessional bill collectors. Mark Silverthorn: Well, the number one dirty trick would be threatening to sue a consumer in circumstances where the bill collector does not have expressed permission from the creditor to do so. In Ontario it is illegal for a collector, employed by a collection agency, to threaten to sue you if the creditor has not authorized the collection agency to sue you. And typically creditors don’t authorize collection agencies to sue files. If they want to file suit they would give it to a lawyer or a law firm; it would never even get sent to a collection agency in the first place. Doug Hoyes: So, they’re not going to sue you. They could send it back to the original creditor to sue you. Okay. So, give me dirty trick number two then. Mark Silverthorn: Okay. If the second – probably number two on our dirty tactic hit-list is the practice when a collector will call the person responsible for pay roll at a consumer’s employer and say hi I’m John Smith, I just want to confirm that such and such a person is employed there. Oh yes they are. Well, are you the person who’s responsible for wage garnishments? Oh you are. Thank you very much, good bye. Now that may not be illegal, because there has not been expressed third party disclosure of the existence of a debt, but it’s an incredibly dirty trick. Because what the caller has done is essentially told the person in payroll that this person owes a debt and there’s a chance that at some point in the near future there’s going to be a wage garnishment. Doug Hoyes: So, they’re planting a seed that probably shouldn’t be planted. That is a dirty trick. I want to hear the other three dirty tricks but let’s take a quick break and then we’ll come back and finish up that list. You’re listening to Debt Free in 30 with my guest today, Mark Silverthorn, we’ll be right back. Doug Hoyes: We’re back. I’m Doug Hoyes and my guest today is Mark Silverthorn who used to be a collection agency lawyer. So, Mark back in the day when you were a collection agency lawyer how many of these collection letters were you sending out? Mark Silverthorn: Well Doug, you’re asking me something that happened almost ten years ago. But what I can tell you is that we sent out a lot of letters. I think in order to be a little bit more specific I think it would be fair to say that we’re probably looking at about a minimum of 500 collection letters a day. And that works out to about 10,000 demand letters per month or about 120,000 letters per year. Doug Hoyes: Wow. Yeah, well I received quite a lot of them so I’ve seen a lot of them. What kind of staff did it take to do that? How many bodies were there? Mark Silverthorn: Well, near the end of my career as a collection lawyer I employed approximately 30 full-time staff. And most of those people, their primary function would be to be on the phone speaking to consumers, inviting them to resolve an outstanding account. Now there would be some clerical people as well, but it would be around 30 people. Doug Hoyes: Wow, so 10,000 letters a month, 30 people, it was obviously quite a big operation. So, clearly you got a pretty good insight about what the back room of one of these agencies looks like. So, let’s get back to our list then. You were giving me the list of top five dirty tricks that collection agencies tend to employ. You talked about them threatening to sue which almost never happens with a collection agency, it happens with banks, but not the actual collection agency. You talked about dirty trick number two where they’re calling the person in payroll and in effect implying that a garnishment is coming when that’s not even on the list yet. What would number three be on the list? Mark Silverthorn: Number three is related to number two and it’s this issue that a collection agency is not allowed to disclose the existence of a debt to anyone other than the person who’s legally responsible for the debt. So, we’ve already seen this in the context of a bill collector calling someone in payroll and really suggesting that this person owes money. Doug Hoyes: So, okay, so that would be number three then. Mark Silverthorn: No, that was number two. Doug Hoyes: Oh, okay number two then, sorry. Mark Silverthorn: Number three is when the bill collector calls the neighbour of the consumer and says I’m trying to get hold of your neighbour and I’m having problems. Would you write a note and put it on the door of this person and tell them that it’s very important that they call as soon as possible regarding an important legal matter. Doug Hoyes: Wow and is that legal? Doug Hoyes: It’s clearly unethical. But is that illegal? Mark Silverthorn: It would be illegal if the bill collector mentioned the name of the collection agency. Because if I work at ABC Collection Agency and I leave a message with a neighbour to request the consumer to call me then, I’ve effectively disclosed the existence of a debt. But what collectors will typically do is they will just leave a – they’ll speak to the neighbour and the collector will say hi I’m John Smith, and I’m trying to get hold of the name of the consumer and I’m having problems and this is really important that I get a hold of them right away; it’s an important legal matter. Can I bother you? I see that you live next door. Could you just put a note on so and so’s door asking them to call me and this is my number. Doug Hoyes: Yeah, clearly a dirty trick and obviously designed to embarrass you in front of your neighbour if nothing else. Mark Silverthorn: Well, and the thing is if the bill collector does this repeatedly what is the neighbour supposed to think? Doug Hoyes: Yeah, yeah and that’s why they’re doing it obviously. So, okay I would agree that’s definitely a dirty trick. So, give me number four on your list then of dirty collection agency tricks. Mark Silverthorn: And this is a really bad one, number four, making a false report to a credit reporting agency that a consumer has made a payment on an outstanding account. And what that effectively does is it refreshes the age of the account on a credit report. To give you some background, if you have an outstanding account on your credit report, under the Ontario reporting act and in similar laws in other provinces, if you have an unpaid account, that has to drop off your credit report six years from the date of your last payment. Now what some collection agencies will do, and what some debt buyers will do, in order to refresh the date on the account, they’ll make up an non-existent or a fictitious payment or they may even make a $10 payment. And they’ll report it as being a payment made by the consumer and that will restart the six year clock. And I just had a call a couple of weeks ago when someone couldn’t get a loan in connection with a student loan that was like 15 years ago. They made their last payment, but it shows up on their credit report because a collection agency made a notation on their credit report two years ago that they made a payment. Doug Hoyes: Wow. And you’re right. They either make a false report or they pay $10 and say oh yeah we got $10 and now you’ve started the clock ticking. So, I agree, that’s definitely a dirty trick. So, give me number five on your list then of collection agency dirty tricks. Mark Silverthorn: Well, it’s making a false statement to the consumer in terms of something that may happen in terms of the legal process. So, for example it could be something like calling up the consumer and saying listen, our process servers only work 9-5, so is it okay if they come by to your office between 9 and 5 tomorrow? And this is in circumstances where the person hasn’t been sued. So, there isn’t going to be any process server doing anything unless a consumer were to be sued. Now I can give you an example. Now I can remember a group of collectors sitting around having a coffee and having a good laugh, because the collector called a stay at home mother one day and advised her that the bailiff would be attending at her home at 5 o’clock that evening and because they had an unpaid account and because there was a – they got a writ of seizure and sale, that it was going to be necessary for her to put all of the family’s electronics and home entertainment equipment out at the curb so that the bailiff can pick this up and seize it and take it away. And in fact these people had never been sued. If they had been sued they would have had an opportunity to file a defense and defend it. So, when the husband arrives home shortly after 5 o’clock he sees the TV, the stereo, all the home electronic equipment out on the boulevard and you can imagine the embarrassment with the neighbours walking by. Doug Hoyes: Yeah, what’s going on? Mark Silverthorn: And these are the kinds of dirty tricks that go on. And some collectors think this is a hoot. Doug Hoyes: So, what then am I supposed to do as a debtor if a bill collector gets me on the phone? So, they get me on the phone and they’re throwing all that stuff at me. What approach should I take then? Mark Silverthorn: Well, I mean I think the first point I would like to make Doug, is that a consumer is under no obligation whatsoever to speak to a bill collector. And it doesn’t matter if it’ someone from the original creditor. It doesn’t matter if it’s a collector from a collection agency. It doesn’t matter if it’s someone who works for a debt buyer or someone who works at a law firm, or a telemarketer or anybody, or you know your ex-wife. You are under no obligation to speak to anybody who calls you. And if somebody calls you and you don’t want to speak with them, you’re certainly within your rights just to hang up. Doug Hoyes: So, I can just hang up. Now that must have some implications though. It can’t be that easy, oh well if I just don’t talk to them, they’ll go away. Doug Hoyes: Yeah it makes sense, so cool. We’re going to take a break and come back to wrap it up. Mark, thanks for being here today. You’re listening to Debt Free in 30. Doug Hoyes: It’s time for the Let’s Get Started segment here on Debt Free on 30. I’m Doug Hoyes and my guest today is Mark Silverthorn who used to be a collection agency lawyer. Today he helps debtors who are in financial trouble. And I want to ask you Mark, how can I stop or avoid collection calls? And as I see it there’s probably three different ways collection agencies can get to me. They can call me at work, they can call me at home or they can call me on my cell phone. I’m not too worried about them calling me at home or on my cell phone. It’s pretty easy to hang up. What do I care? But if they’re calling me at work, that’s potentially a problem because if the receptionist is answering it, if my manager finds out about it, I can potentially risk losing my job here. So, what’s your advice for someone who is getting collection calls at work? How can they either stop them or avoid them? Mark Silverthorn: Okay and there’s really two questions there. So, the first one dealing with stopping calls is, and the issue is, is there anything that I can do that would legally prevent a bill collector from making any phone calls demanding payment of a debt in the future? And the other one is what tactics can I employ to avoid collection calls? So, I’m going to start dealing with stopping collection calls. Now in Ontario, if you’re receiving collection calls from a collector employed by a collection agency, you can stop those collection calls by sending a registered letter to the collection agency. And in that letter you demand that they cease from any further collection calls; and number two you invite them to resolve this matter in a court of law. Now in addition, under federal law if you are receiving collection calls demanding payment of a bank debt, then you can stop these calls by essentially doing the same thing. Now there’s one difference between the two. If you’re getting calls regarding a bank debt, then you can actually stop calls from collectors employed by the original creditor or collectors employed by a debt purchaser or a law firm. Doug Hoyes: Okay. So, I can send them a registered letter. And I know that’s something that you’re consulting practice, you show people how to do that. They still send the letter but you show them how to do that. So, that’s the area of stopping collection calls. What about avoiding them then? Is that really the same thing or is there something different there? Mark Silverthorn: Yeah, avoiding is different. And you see one of the problems with these efforts to stop the collection calls, is that if the creditor recalls the account from a collection agency and assigns it to a new collection agency and you get calls from a new agency, then you’re going to have to send out another registered letter. So, while I’m not saying that stopping calls can be very effective, but it’s also important for a consumer to think about having – using avoidance tactics, which I will list now. With regards to your home phone, I mean getting an unlisted number. What you want to do is you want to avoid calls because the collector does not even have your phone number. So, we’re talking about getting an unlisted number. We’re talking about not having your name mentioned on your voice mail. And we’re talking about instructing your friends and family members not to give out your phone number to anyone. Now let’s talk about avoiding collection calls because you use effective screening tactics. So, you can use any one of the following screening techniques to screen your calls. If you have call display feature on your telephone, do not answer your phone unless you recognize the caller. If you do not have the call display feature on your phone then you can let all your phone calls go to voicemail. And only return phone calls to the numbers that you recognize. Or you can have another person screen your calls. Like if you owe the money you can have your spouse or another house hold member screen your calls. Or you can actually screen your own calls. Because this is what most people don’t realize is that a collector is not entitled to discuss the debt with you until they confirm that they’re speaking with the debtor. So, if you refuse to identify yourself then the collector is not allowed to discuss the debt with you. Doug Hoyes: So, there’s a lot of things you can do to kind of keep them at bay. Ultimately though, and we talked about this in the earlier segment. The collection agency most likely isn’t going to sue you. But if they can’t reach you, if you’ve avoided them they can then I guess send the original debt back to the bank and say oh well we can’t find the guy, here you go and at that point the bank could sue you. Mark Silverthorn: Yes, I think – what will often happen is that the files that the bank wants to sue will probably never go to a collection agency in the first place. Now, I’m not telling your listeners that no one is ever going to be sued. There’s one of Canada’s major banks, if you owe more than four or five thousand dollars and you own real property in your own name, they will sue you. Not all chartered banks are like that. So, I don’t want your listeners to think that creditors never sue people. But if a creditor wants to sue somebody, the last person that they’re going to give your account to is a collection agency. Make no mistake about it, this is what collection agencies do. Their goal is to hound people into paying money; they’re not in the business of suing people. Doug Hoyes: That’s an excellent way to end it. Thanks for being here today, Mark. We’re going to put links to your website in the show notes. Thanks for being here on Debt Free in 30. Doug Hoyes: Welcome back. It’s time for the 30 second recap of what we discussed today. On today’s show Mark Silverthorn, the former collection agency lawyer talked about the top five dirty tricks used by unprofessional bill collectors and he gave his thoughts on how to stop or avoid collection calls. That’s the 30 second recap of what we discussed today. So, what’s my take on Mark’s message? I’m not a big fan of avoiding collection calls, because if you ignore them for too long you run the risk of having the bank or credit card company sue you and start garnishing your wages. Avoidance is only a good strategy if you have no income or assets. I do agree that as a consumer you should know your rights and understand your options. If you’re at risk of a wage garnishment, ignoring collection calls won’t make them go away. That’s when you need to take action, which means either settling with a creditor, or making a consumer proposal or filing bankruptcy to deal with your debts once and for all. That’s our show for today. Full show notes are available on our website including links to Mark Silverthorn’s website and information about collection agents and your options for dealing with debt. So, please go to our website at hoyes.com, that h-o-y-e-s-dot-com for more information.